I’ve just returned from T-H-E most amazing, 3 day trip in beautiful Prague and can’t get over the beauty and charm of this magical, fairy tale like city of contrasts. I was there attending #BataFashionWeekend, as Prague is the home town of the 123 year old Bata shoe brand. Whenever I travel, I love to experience the heart of the city. 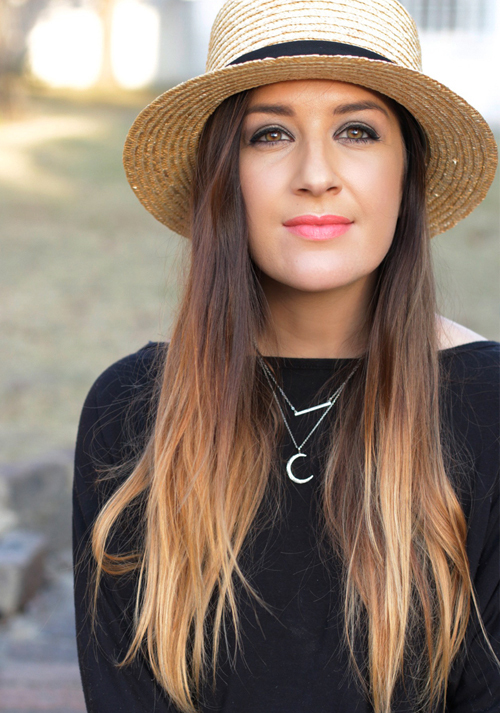 It gives me a chance to feel as though I am part of the culture and charm of something new and completely different to what I am used to. 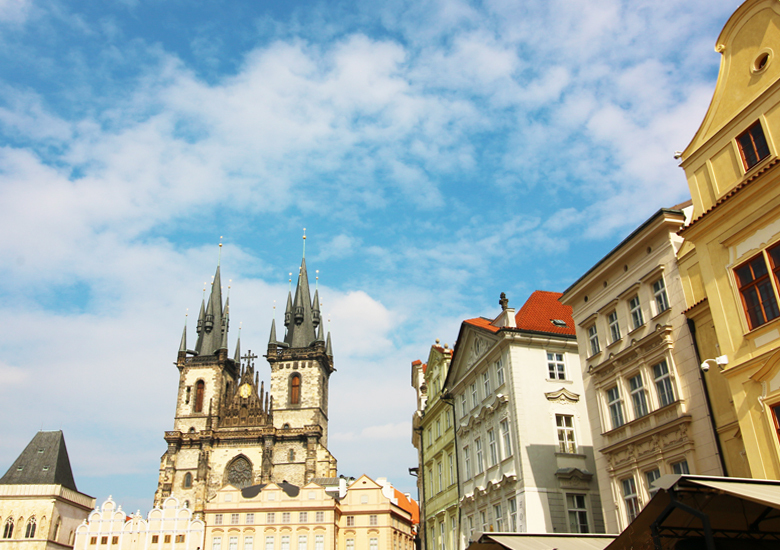 In Prague, the heart of the Czech Republic is nestled within the Old Town. It’s alive and buzzing with its old town charm, medieval buildings and cobblestone streets and dates back to the 9th century. 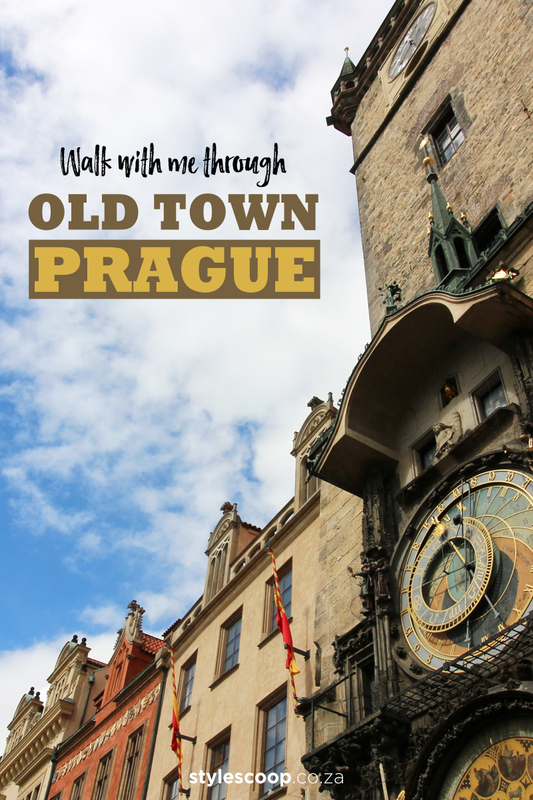 Here is where you’ll find Prague’s most iconic sight to see, the Astronomical Clock, as well as buildings of different architectural styles; gothic, medieval, baroque and art decor all mish-mashed into one – giving the city a true fairytale feel. Although there is no shortage of modern day amenities (including a Starbucks) the way the city contrasts modern with old relic is what made me fall in love this beautiful city. The huge Astronomical Clock was the one thing I really wanted to see. 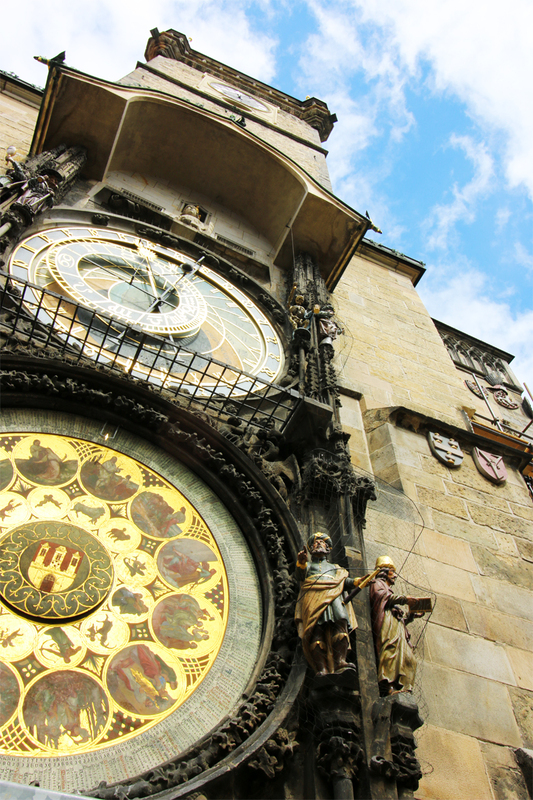 It’s a feature that is closely linked with this beautiful city, because besides being a thing of absolute beauty, it’s one of only three Astronomical Clocks in the world! And the only one that still works today. Pretty impressive, considering it was first installed in 1410. You’ll find it sitting on the Old Town Hall building. According to legend, a great curse of ill fate will be placed on the city if the clock is left neglected. Now, I don’t know how true this is, but Praguers, or the people of Prague must not want to chance it, since when I was there the clock tower was undergoing maintenance. The clock is adorned with four figures which represent Vanity, Greed, Death and Pagan Invasion. These were the four most heart felt civic anxieties of Praguers in the 15th Century. One of the things tourists flock to see is the Parade of the 12 Apostles which happens every hour, on the hour. Of course, I wanted to see it too (which I did), and even though so many people shrugged their shoulders, completely unimpressed by the parade, it’s astounding to think that this mechanical masterpiece was created in 1490. The parade may not be a big wow factor for us modern folk, but surely something incredible for the people who lived 600 years ago. 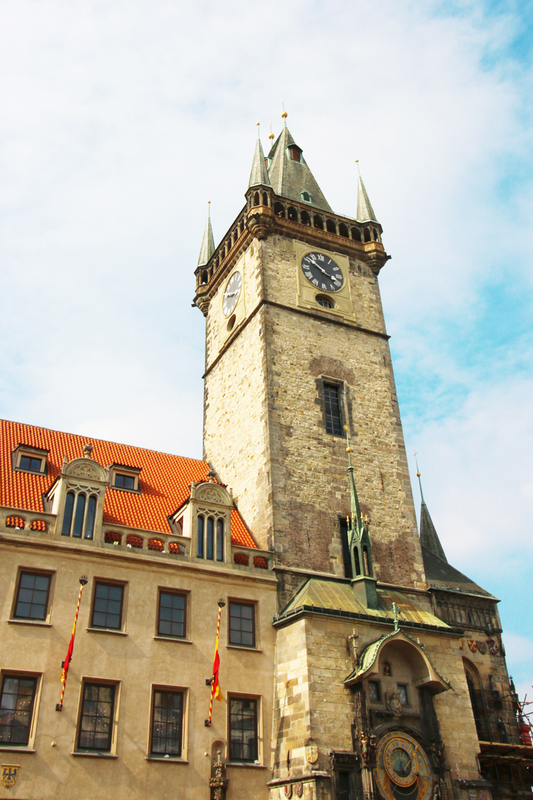 To completely appreciate the beauty and charm of the Astronomical Clock, if ever you find yourself in Prague looking up at the tower, make sure you read up on it’s history before you see it. The clock face is also something to marvel at. The upper disk can read the hours of sunrise and sunset, while the calendar wheel below features 12 seasonal scenes, which celebrate Bohemian life of the past. 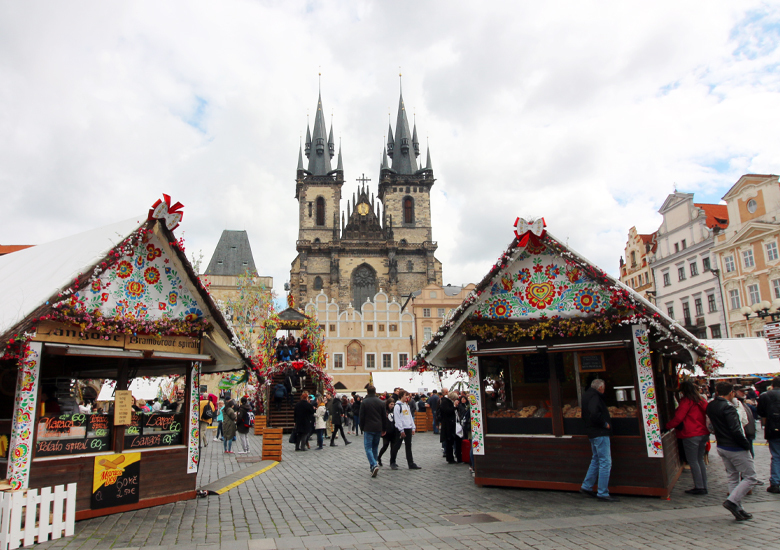 The streets of Old Town Square are a buzz with vendors, tourists and locals and it’s a lovely place to be day or night. 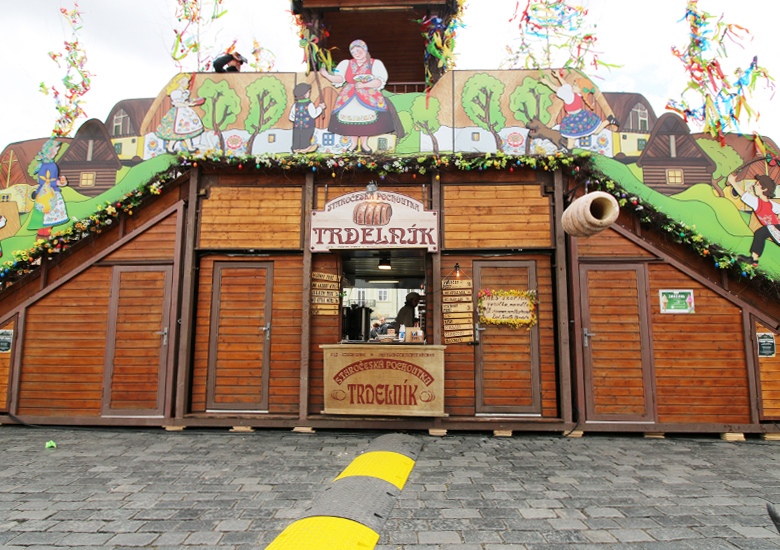 Everywhere you look, there’s Trdelnik stalls and people eating away with delight! 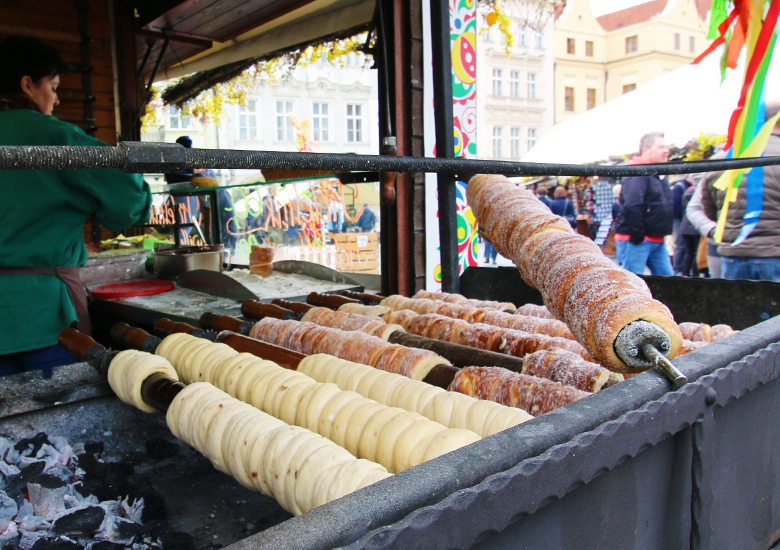 Trdelnik is a Czech pastry that’s made with rolled dough, that is wrapped around a big skewer and cooked over coals, much like a spit braai. The pastry is coated in sugar and served either plain, smothered with Nutella in the center or filled with ice cream. Being the middle of Spring in Prague in April, which trust me, is nothing like Spring here in SA, it was still icy cold. I didn’t attempt the ice cream version, but I can tell you that the Nutella filled Trdelnik was everything I had hoped for and more! I could’ve eaten these delightful treats all day every day! They were fairly inexpensive, I think I paid 2.50 Euros – which is about R35, and when you consider the amount of Nutella laced in inside, they were well worth it! Stay tuned for more Prague Travel Diaries coming up over the next couple of weeks and be sure to check out my Instagram for more snaps of this beautiful city.